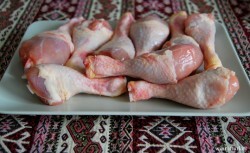 Chicken is one of the most consumed meat in Turkey and cooked in many different ways. Always tasty with very different flavors to which we are accustomed. It is taken in infinite ways, in pinchitos, in roll, casserole with vegetables “chicken casserole“, Baked, grilled, etc.. The recipe I give below is very easy and really tasty, surely the special touch that gives yogurt. – 3 or 4 cloves of garlic. 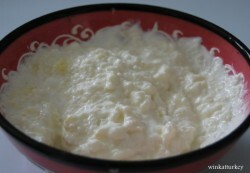 – Natural Greek Yogurt type. 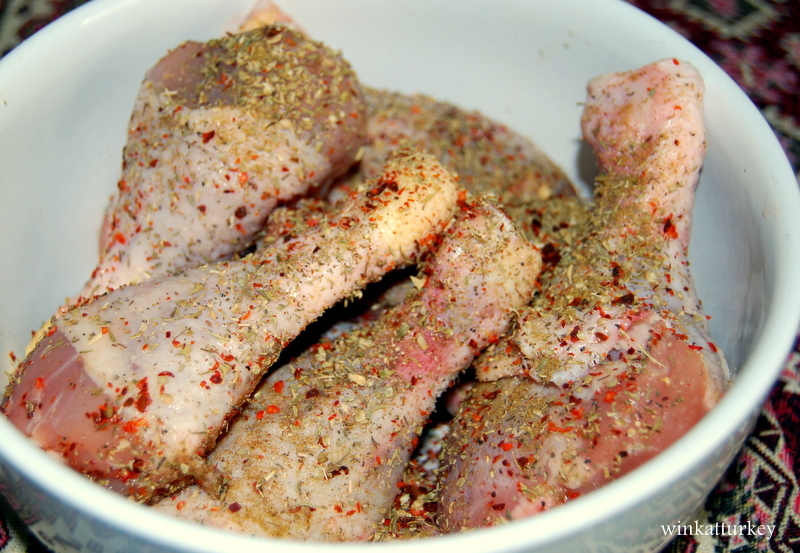 – Black pepper, oregano, cumin, red pepper flakes (Aleppo ground pepper) and salt. We put the drumsticks on a platter or bowl, add spices and stir all well and let it stand for a while. Peel the onion and garlic and chop it all together. 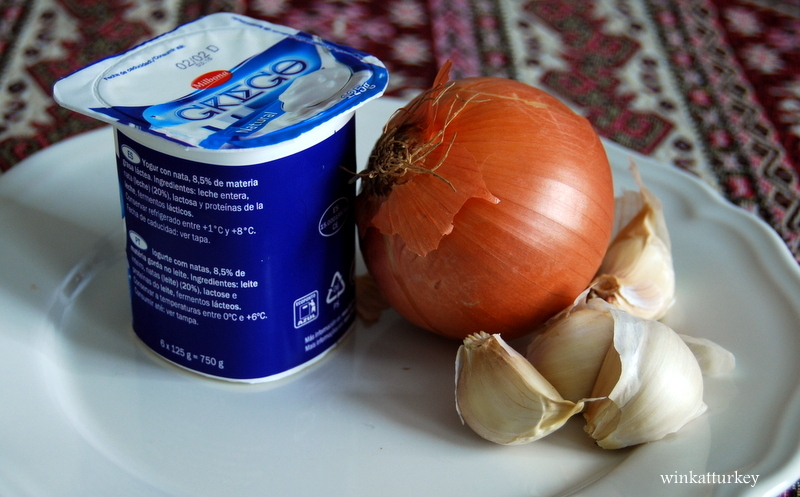 Add the yogurt and stir everything well. 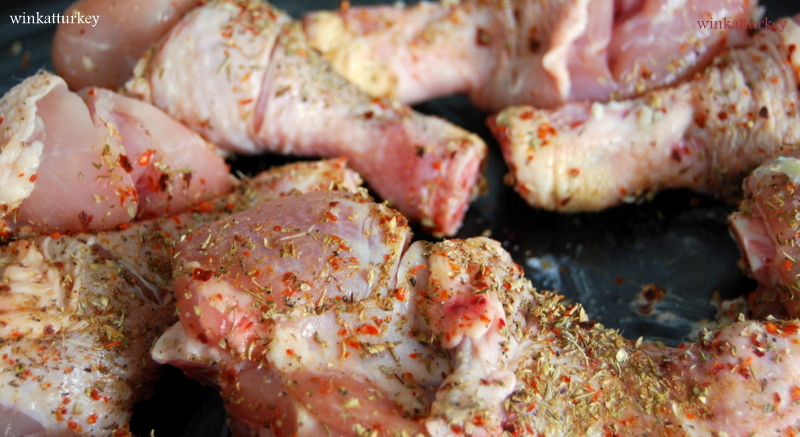 We place the chicken thighs in a baking dish and we make some cuts to each and sprinkle with a little olive oil. 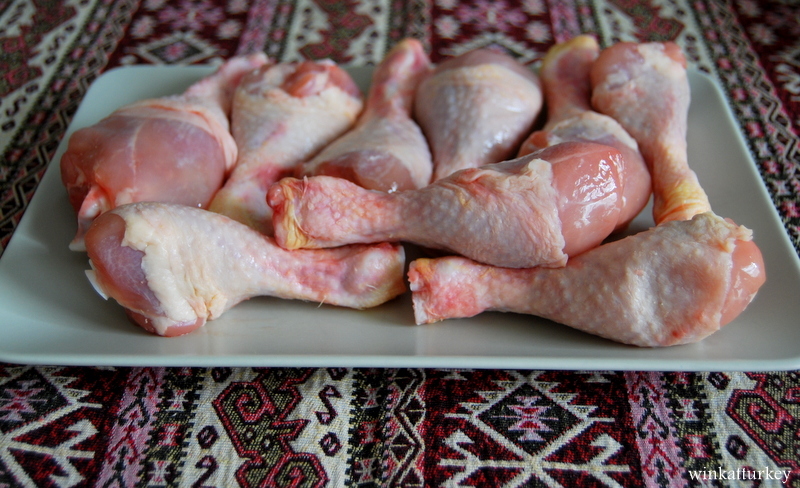 We cover all the drumsticks with sauce we have prepared with yogurt well and put in the oven preheated to 200 ° C until the chicken is browned. If we see that we stay dry, we can add a little water or a glass of white wine. Usually accompanied with pasta ( lot sehriye No insulation ), are typical types of pasta in the country. Failing that we can use any pasta, I used”Pipe melon”. Fry some garlic cloves. We prepared a sauce with basil, parsley and olive oil. Add the garlic and the dressing over pasta. 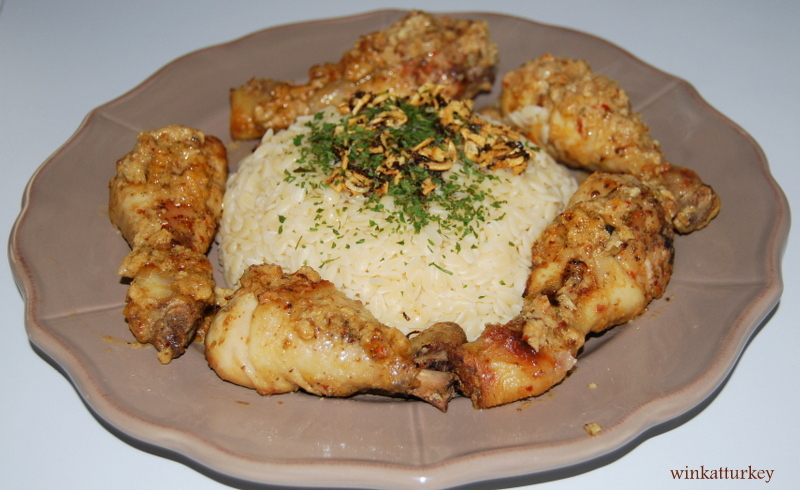 Serve on a plate, placing the dough in the center and placing the chicken around. And now eat!!! !